I have good news and bad news. 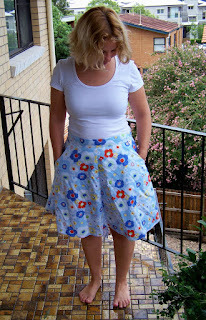 The good news is that I finished my first Hollyburn Skirt from Sewaholic. I wanted to test out the sizing and make a little summer skirt with some fabric that I had little emotional attachment to. It's a cotton poplin that was on sale in Spotlight that I bought to make Colette's Crepe Dress. However, after I washed it and it hung to dry, it reminded my very much of bedding and I really thought it might be a bit much for the dress, so I thought I use it for some skirts or shorts something (I do have 5m of it, because the dress asks for 4.5 yards). I have no willpower either. Can you give the rest to charity if you aren't going to use it again? Oh I have the same issue with my belly - smaller in the morning that it is after dinner. sigh. 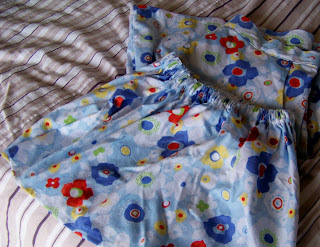 Your skirt came out very nice ~ maybe with the extra fabric you can make a little pouch bag for your daughter? I haven't finished my Hollyburn skirt yet but I did french seams all of my seams too! 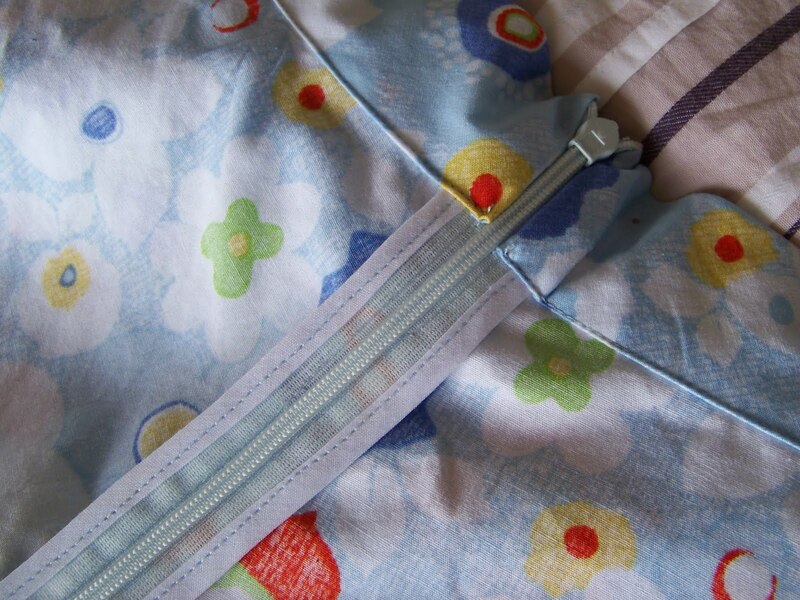 Your zipper seam is gorgeous! I think you should wear matching skirts, adorable!